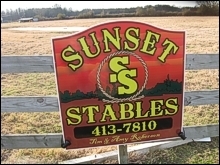 Danny Lassiter has been handling horses for more than 40 years. He started training for the public 10 years ago.. Danny, has a very light hand and a lot of patience with horses. He believes in having the owners participate as much as possible in the training. Natural horsemanship trainer, Danny Lassiter. Maybe you have a colt that needs some ground manners? Do you have one that needs to be started under saddle? Or maybe you have an older horse that needs some miles put on it? He can help you out. He also does trailer loading, teaches your horse to be loaded safely every time. Danny, can help you by correcting bad habits in your horse. And teach you how to keep your horse on the right track. He can also get them ready to go to your show trainer. Get them started quietly, and soft. Contact him at: 252-217-2397, or 252-217-2396, If no answer please leave message. He also works with mules! !